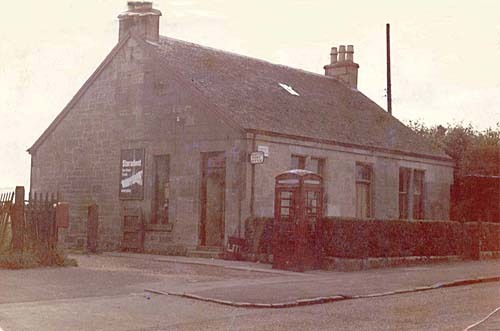 The Post Office, as shown below, was originally built by Mr Ritchie in 1898 as a house and Post Office. 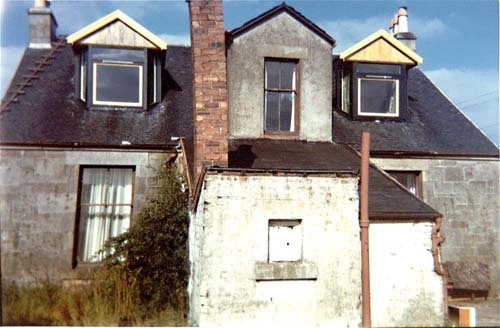 His daughter, Jean, married Alexander Brownlie, who was himself a postman and they ran the Post Office until in 1965 the Post Office was taken over by Mr and Mrs Fallow. Mrs. Fallow was the Sub-Postmistress and after four years resigned from the post. This was partly due to being attacked by an intruder with a knife who broke in at the back door. Mrs Fallow, although shaken, was unhurt and drove the attacker off with a saucepan. However the experience, understandably, blighted her enjoyment of working in the Post Office and in 1973 they sold the Post Office. Mr Fallow, who was brought up in the Gate House of the Fairholm Estate by the River Avon, worked for a time at East Crookedstone Farm in 1946 and was a founder member of the Hamilton and District Young Farmers club. They have now retired to Coatbridge but still have fond memories of Quarter. The house was bought by Mrs Furley, with the Post Office moving to the General Store next door, owned by Mr Conway. The store has since been converted into flats and a small shop and Post Office added onto the side of the building. 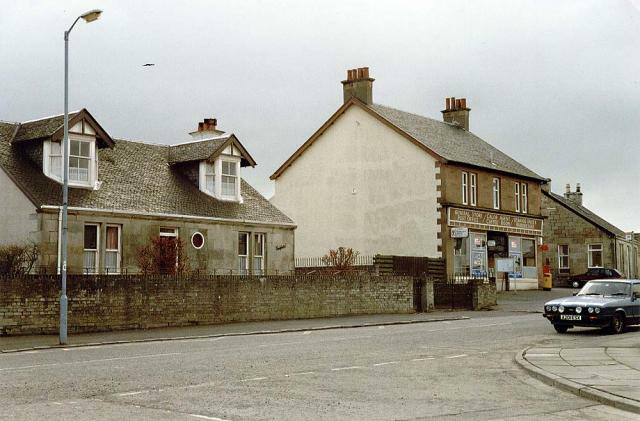 Bottom left the village store in 1970 and on the right in 2002 with the new store and Post Office at the side. The Post Office closed in 2009 but the village store lives on.